Available for Chamber Members only. 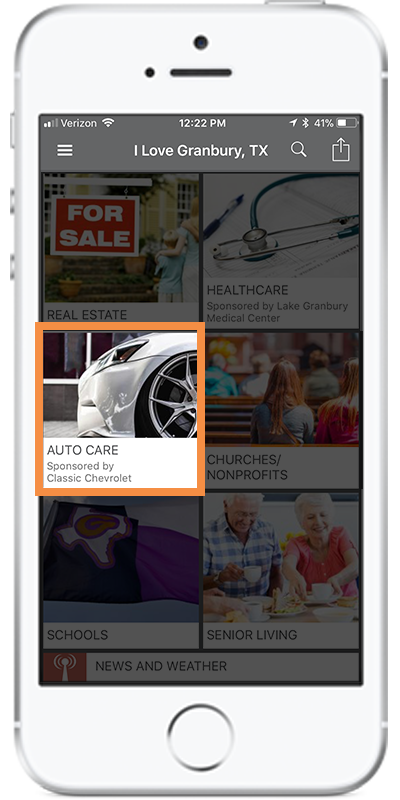 Similar to the advertisment placements in a magazine, mobile apps offer flexible sizes and packages, but with the added benefit of live links, interactive media, GPS integration, and digital loyalty cards. Ask about our sponsorship packages! With a zCivic app the possibilities are endless. Contact us today to find out which options are right for your business. Available for a yearly fee. 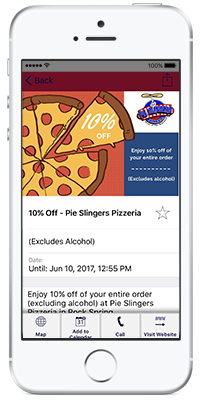 Offer this interactive feature that entices users to continually return to your app and businesses. 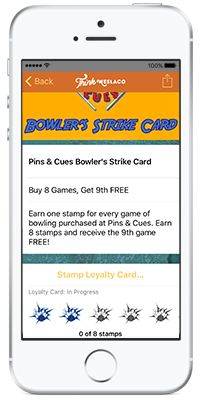 Similar to a physical card-based program, users can “stamp” their digital cards with a qualified purchase, working their way to earning rewards and building loyalty to your business. 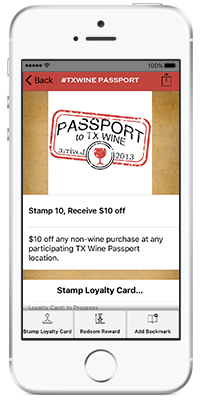 Digital loyalty cards and passports have the added benefits of portability and convenience that comes with always being available on a smartphone. 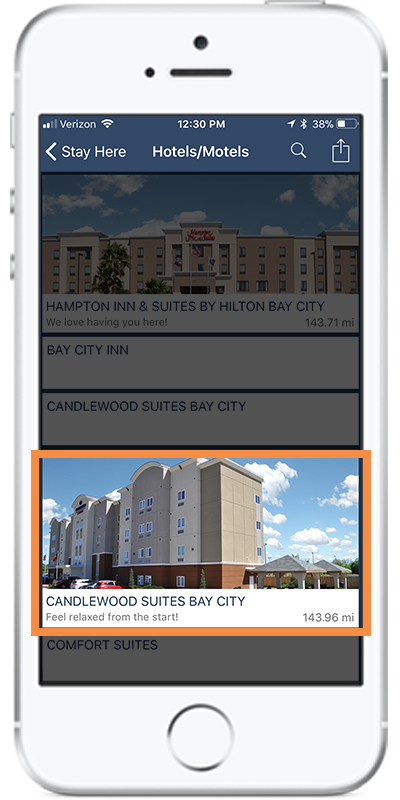 Users’ locations are verified with GPS and each program is completely customizable with your unique graphics, settings, rewards and program parameters. 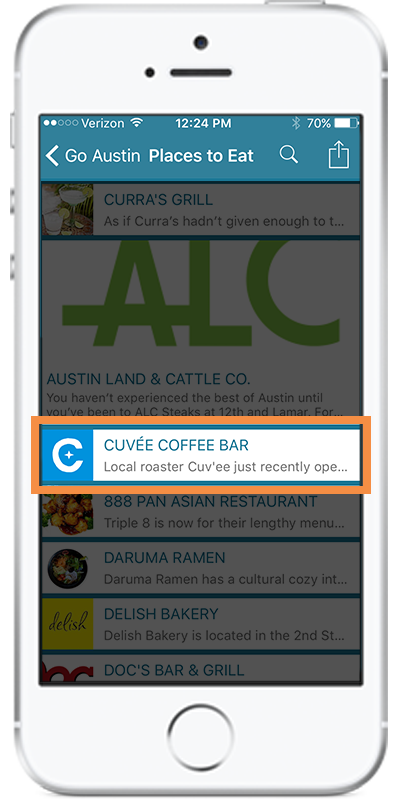 Offer this interactive feature that entices the user to continually return to your app and businesses. Bring your business listing to life with a promotional video or featured audio content. Highlight special offerings, share your organization’s history or mission, or tempt users with mouthwatering footage of your menu. This is your chance to emphasize what makes your company unique.